Bath time with your dog may not be the happiest times for him.One minute your canine friend is calm and the next moment it’s like you are trying to wrestle with a hurricane as he becomes a squirming nervous wreck when he sees the dog shampoo and grooming tools. Under normal circumstances your dog doesn’t need a bath every day. Which is good news.The thumb rule is that dogs need to be bathed at least once every 2 to 3 weeks. It could also be once every six weeks provided they are short-haired and indoor dogs. Frequent washing's can strip the coat of protective oils and cause skin irritations. 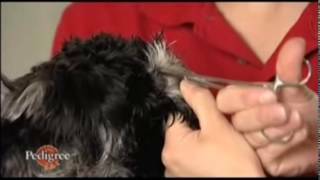 If you have a young pup, ask your vet whether it's safe to give him his first bath. When the time is right for that landmark first bath, you have a chance to create a positive experience that will make future washing's easier.